For those of you who may not have heard tonite, the Big Ten made history earlier today when Jim Delaney, Big Ten Commissioner, announced the unthinkable. While most prepared themselves for disappointment and misery in anticipation of the new Conference alignment, Delaney announced that the new alignment would feature a 5-2-1 arrangement, complete with six (6) teams across two divisions, five (5) division games each, two (2) rotating (every two years after a home/home series with each) cross division games and one (1) permanent rivalry game. 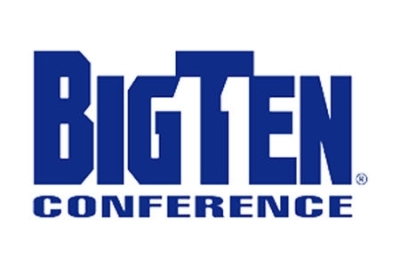 Each team will continue to play eight (8) Big Ten games, four (4) road and four (4) away games each Season plus their out of conference schedules. In the case of the Nittany Lions, they will compete in a division (to be named) which includes Ohio State, Wisconsin, Purdue, Illinois and Indiana. The other division will include Nebraska, Michigan, Iowa, Michigan State, Minnesota and Northwestern. While longtime rivals Ohio State and Michigan will maintain their rich tradition of playing on the final day of the Big Ten Season, Penn State will renew their former out of conference rivalry with the Nebraska Cornhuskers, the newest member of the Big Ten family who Commissioner Delaney promised tonite would receive a very warm, ongoing welcome to the Big Ten, something he wished the Big Ten had extended further to Penn State when the Nittany Lions made their Big Ten Football debut in 1993. This is welcome news to Nittany Nation as many will recall the 1982 last-minute victory over the Huskers (which would later result in Penn State’s 1st National Championship), the 1994 undefeated Penn State squad whom Joe Paterno referred to as his National Champs after the media dubbed the Huskers National Champs. And no one will forget the largest attendance game in Penn State history when the Nittany Lions trounced the mighty Huskers 40-7 on September 14, 2002 under the lights in front of a deafening 110,753 bloodthirsty Lion fans. The schedule will become only more difficult for Penn State and all Big Ten members as the new alignment takes effect in 2011. In addition to playing Iowa (cross division game), the Lions will square off against Nebraska (rivalry game), Ohio State and Wisconsin in consecutive weeks to finish out the 2011 Season. That will be no easy task for even a much more experienced 2011 Nitttany Lion squad. While the Big Ten’s major realignment announcement created tremendous excitement across the entire Big Ten fan base tonight, the Conference also managed to time the announcement perfectly to steal college football headlines one night before the college season kicks off and throughout the entire opening weekend of college football as ESPN and sports talk shows nationwide examine this major shift in what is now clearly poised to be one of the top football conferences (and conferences overall) in America. Tonight, the Big Ten’s rock solid reputation and rich tradition secured a place in college football history for many, many years to come. While Nittany Lion Nation once viewed the Big Ten membership with a skeptical eye, they now recognize the wisdom and foresight Joe Paterno had when he conceived the notion of Big Ten membership, a Conference that will gain further prominence, superiority and the gold standard label as it continues to demonstrate college sports, strong academic curriculum and a strong conference bond are all possible within the same conference with proper leadership and cooperation at the Conference and University levels.